Meyer's spruce trees, also known as Chinese blue spruce and picea meyeri, are slow-growing evergreen trees that grow best in USDA Plant Hardiness zones 3 through 8. 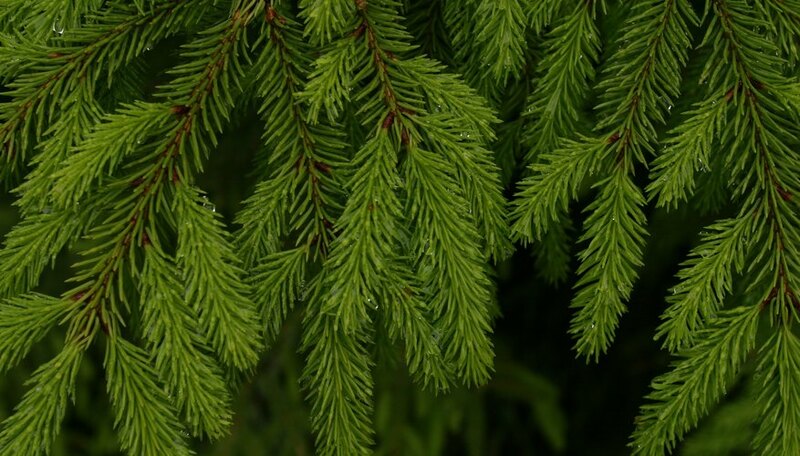 With their rich blue-green needles and excellent needle retention, Meyer's spruce trees are a popular choice for ornamental accent trees, as well as windbreaks and shelter belts. Because of their tolerance for humidity, Meyer's spruce trees are often planted in place of blue spruce trees in humid climates. Obtaining a Meyer's spruce tree for planting is simple. Meyer's spruce tree seedlings and young trees can be purchased from your local nursery or garden center. If Meyer's spruce grows naturally in your area, you can easily dig up a 1- or 2-foot tree for transplanting. If unavailable in your area, order your Meyer's spruce tree from a reputable online nursery. Meyer's spruce trees are slow-growing so you should buy trees that are appropriately sized for your purpose rather than buying small trees and waiting for them to grow. When planted in an appropriate location, Meyer's spruce trees can grow to more than 40 feet tall and live up to 80 years. To give your Meyer's spruce tree the best chance for healthy growth, the planting location you select should receive at least six, but preferably eight, hours of direct sunlight each day. Meyer's spruce can tolerate a variety of soil types, as long as the soil provides healthy drainage. Also, make sure that the planting location you choose is large enough to accommodate the size of a mature Meyer's spruce tree. Planting evergreens like Meyer's spruce is simple and can be done in a single afternoon. Dig a planting hole for your Meyer's spruce tree that is three times as wide as your tree's root ball but only as tall as the height of the root ball. Center the tree in the planting hole. If you are planting a larger Meyer's spruce tree, you might want to enlist a helper to assist you in steadying the tree during planting. Fill in the planting hole with displaced soil and pack down the soil's surface. To encourage your Meyer's spruce tree to establish itself in its new location, slow water your tree for at least 15 minutes after planting.